Colin and Anne Brookfield have finally made their home in Somerset, after living abroad occasionally over the past 47 years. Colin’s life has been a balancing act between many occupations. Born in 1932 he left school at fourteen. He was put to the building trade and in later life ran his own business for several decades. He ran away to sea at sixteen and sailed around the world with the P&O ship SS Corfu until he was eighteen when he was called up to do his National Service in the army. He became a Physical Training Instructor (PTI) and whilst stationed in Germany, went on to become the individual fencing champion of BAOR (British Army of the Rhine). 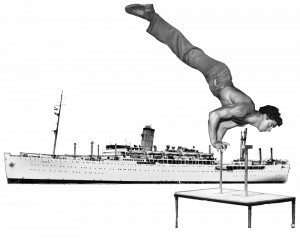 After leaving the army he was eventually drawn into local functions with his acrobatic speciality act, which in turn led to an agent and paid appearances. Vocal training followed and for many years, he sang locally as a solo tenor, later to be accompanied by his wife Anne on the piano. Years later, he and his wife Anne emigrated to Australia and travelled 28,000 miles around the continent before settling on the Gold Coast. They returned to England after five years where Colin resumed business in London. Anne worked in the music industry of EMI Records and later with British Airways, until her retirement. He has always been intensely interested in human nature and, his lifelong ambition has been to express his observations and solutions as to the anomalies of mankind. This came to fruition with his first book, “Step into the Rainbow”, which was mainly done in the form of verse but, with subsequent books, he went into the subject more fully. His previous three books, (The Summerhouse Journals Trilogy) The Summerhouse, Summerhouse Timeshift and Summerhouse Stepping Stones, were a break from reality but, had aspects open to question. He has acquired several patents (one presently being developed in Australia). His inventive interests and other hobbies included sub-aqua, water skiing, surfboard riding and hang gliding. Anne was classically trained on the piano and, both she and Colin used to be members of oratorio choral and musical societies in Australia, London, Dorset and later, in Cyprus. 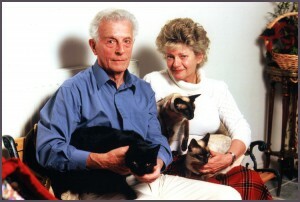 In 2007 they moved with their two Siamese cats, Sable, Sapphire and Amber, their black domestic, to Paphos in Cyprus. Sadly, all the cats passed on during their seven years on the island. They have both always been animal lovers and later rescued five cats in Cyprus, bringing four back to the United Kingdom in 2014. One of the five (a Siamese) sadly died before the journey home was made. One of the remaining four was an injured tabby and she flew back with the three others. On arrival, she had to undergo surgery to remove her right leg but, is thriving - as are all of them in the English countryside with green grass - something none of them had seen before. The narrative relates to an angelic journey unmasking the dark side causes that afflict mankind. Covers philosophy, psychology and metaphysics. 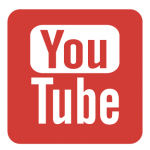 Please visit my YouTube Channel to view my other videos.